This week’s seminar in the 2014 Digital Classicist London & Institute of Classical Studies series. This paper discusses a proposed project to examine the role and significance of the large quantities of neo-Latin poetry composed and circulated within the thriving manuscript culture of early modern England (c. 1550-1700). It will produce a searchable digital edition of representative examples of early modern Latin poetry in English manuscripts, and a body of print publications analysing this almost unstudied wealth of material. We address the typical genres and forms of neo-Latin poetry in manuscript and how they are used; the relationship between original Latin and English poetry in manuscript sources; and the political significance of such poetry. 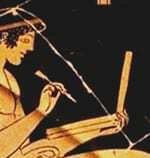 The full 2014 programme is on the Digital Classicist website. The series is being recorder for audio and video which will be made available on the seminar webpage along with presentation slides. The full 2013 programme is now online. UCLDH’s Dr Julianne Nyhan is a joint Author of a new Science Policy Briefing from the European Science Foundation, entitled Research Infrastructures in the Digital Humanities. This report was written by the ESF Working Group on Research Infrastructures in the Humanities under the editorial chairmanship of Professor Claudine Moulin (Trier Center for Digital Humanities, Universität Trier). It also in includes contributions from many Scholars from across Europe who are researching the areas of digital humanities and digital infrastructures. Both the full report and a shorter document that excerpts the report’s main findings are freely available on ESF’s publication page. We hope you find it interesting and relevant. Stan is on sabbatical from the University of Alberta, and is a visiting researcher at the UCL Centre for Digital Humanities. We are lucky to have him here, but he’s soon going to be off on his travels so do come and hear him while you have the chance!